For every style of dining service there are eight stations and lines. They are inevitable. For each type of meal the stations and lines remain the same, only what is in each station, and who has to go through each line can change. Each station is to be manned and equipped. Every phase of sharing must be done by going through one. Tasks can be done by committees. The planning part can be done by a committee of one. The planning for drinks and foods for a hospitality event may be done by the Refreshment committee. It is responsible for the Catering. Atmosphere can be the responsibility of the Decoration committee. After setting up the dining room and before opening the doors and someone says, “Dinner is served,” know this: what everyone will remember are your stations and the ambiance in each: how each room is prepared, and the lines are set up to serve drinks, and your menu. And what decorations you used as an indication of what efforts were made to ensure person would remember your event fondly. This book is to be used when serving drinks, decorating a table, and fulfilling a menu is part of your entertainment plans, or is a job for which you are responsible. It will give you confidence to shop frugally, prepare creatively, to give an event. Items marked with a *D may be of special interest when eating with people concerned with diabetes. Buying and Eating Foods with Style on a Dime can best be done with extending hospitality. You get to expand your palate, try new recipes, and enjoy the leftovers, or divvy them up as you please, after each practice. The planning for the music for a hospitality event may be done by the Entertainment committee. Frugally music can be anything from a radio to a DJ. Music is playing. The candles are now lit (where allowed.) Before people come to the table, know this. Music is to be controlled from a communication closet in station five: a kitchen, or station seven: a bedroom, or an Armoire off the reception floor. It can be piped or wired into a living room, family room, dining room, and outside. In old school, you hooked your system to an amplifier with A B and C channels. Speaker could be turned on or off (and or up and down) by another amplifier in each room. How can the best music in your environment be in a room or space without controls to it for where you are in it? We will learn about Frugal Foods and Stylish Recipes beginning with Station Three. You can use each My Palate ® Almon Hitt list as a shopping list to broaden your own. Dish ware for cocktail food is to be bread and butter plates. Remember all those plates you got for bread, and underlying plates for bowls and first course glasses. Here is another place to use them. Get more. You can all eat from a common plate. But at some point this stops letting you be stylish. You can use salad plates for cocktail food plates, but it may not be quite as frugal. Add an inexpensive drink, and the money you have spent is still less than twenty dollars. A meat and cheese plate with crackers and classic mustard could be a standard base. The cocktail food table can be placed in the corner a room. It is usually covered with a cloth covering the full front of it to the floor. A cocktail food table can be augmented by another table with a tray or a tub for the collection of dirty glasses and plates, toothpicks, and napkins. In public each can be collected to a tray and tray stand. In a private home this may be done on the bottom level of a two to three tiered covered roll in cart. Give everyone the opportunity to have a second drink. At home, empty glasses left on a coffee table are to be collected two at a time. This is to be done as a matter of course unless the host bids a person to take his or her pre dinner drink into the dining room. The line to cocktail food may be omitted in favor of one leading directly to station four: the line to the table. (This way please.) No drinking on the way to this station. Short of this, a pre-dinner drink can be offered at the table. It is called an aperitif: (An appetite starter.) It is to be placed to the right of all other glasses. In a commercial dining room, a pre-dinner drink is to be placed atop a cocktail napkin when it is served, rested, or finished. It and the napkin can be removed after it is finished. Caviar is what to serve after you get over being frugal. Lox can be what to serve in the mean time. Salmon from Fresh Water or Fresh Water King Salmon can be used to make a dip. 1 c. Salmon can be mixed with minced celery, olive or safflower oil, and diced onions, allowed to marinate and served. To it you can add a Classic Mustard to taste. Sardines in oil or mustard can be served with crackers. Laugh if you want, you will not have leftovers. Sole could be served. Tilapia can be cut into nuggets or strips for a really frugal fish fry. You may eat and serve this fish by the fillet. Tuna can be made as a dip: 1 can tuna, ½ apple, 1 diced stalk of celery, 1 Tsp sweet pickle relish, then you decide 1-2 Tbsp low fat mayonnaise, mustard, or olive oil. Tuna may be your best bet as a frugal fish. Canned tuna holds well for long term storage. In the wild it is portable and portioned controlled. Seafood can be served as dips. Ketchup (w/o High Fructose Corn Syrup,) and Horseradish. At least one Native American group is forbidden from eating any fish, including Salmon. Some will only eat seafood protein that once had scales, a tail, and sea wings – fins. A side for fish is to be stemmed tubers; you may know them as fish and chips. The line to station three (the bar) can lead to a table used to hold a tray of cocktail foods for the event. Remember, a guest is to be provided something to eat within seven minutes. (Did you not use to work at Mickey D’s?) No matter, be prepared to perform this obligation in your event environment. Give each guest something to eat before you give them a roasted (main course) meat. A balanced array of cocktail foods will include at least three food groups. Cocktail food is to be restricted to two to three of these items Dairy, Grains, Meats, or Beans; then you can pick between Nuts, Fruits, and Vegetables. You can use lettuce to line serving trays for moist foods such as fruit kabobs, vegetables, or meats. Have the passing of the cocktail foods begin. Peanuts. Note: peanuts are legumes, but you look for them to be among the nuts. You can fill the need for nuts with Peanuts or Peanut butter. Chunky Honey Roasted Peanut Butter or Creamy can be used alone or as a base for an open face peanut butter and bagel sandwich, bread, or crisp sandwich topped with organic apples, bananas, peaches, pears, or strawberries. Peanut butter and (low fat) yogurt may be used as a fruit dip. You can get a separate jar and spoon for each guest; you know who you are and what you do alone. Walnuts. (Think and taste the fiber.) You eat them by halves. You only need six. Nuts can be most frugal when you buy them in bulk. Flax, it can be ground up in a coffee grinder and used on or in everything from baked goods to beverages. You can find it in the refrigeration section. Pumpkin seeds (Pepitas) can be used for cocktail food. Sesame seeds alone could be used; you might grind your own sesame seeds and have your home made Tahini, and use it to make hummus. Sesame seeds might be used in a flatbread. Sunflower seeds, shelled or unshelled. Campus Balls, a chance to get dressed, and a better meal cannot be had elsewhere for half the price. Banquets: both school and student sponsored banquets are budget friendly. Buffets: you can eat at a school Buffet Cafeteria style (Public) Student Dining Facility, everyday. Eat at a public buffet no more than twice a week. Demonstrations: on Foodie Days. Demonstrations mean samples. And you may even learn something. Events: check out Know Events. Check events calendars each day. Events means receptions or at the least light refreshments. Some functions provide a free lunch. Buy leftovers at eating events when you can; let someone know that you live with a dorm of men, and you will take food back to them. Festivals: mean foods, at on campus festivals, most foods are provided at a discounted price. Lectures; after hours, they usually include pizza. Meetings: Join Student Organization by the days of the week that you want to eat: Free cocktail food is usually served at every meeting. Eating it to be not the reason for the meeting. But most serve food to get you to attend. Most organizations will let you attend meetings and eat, while you are saving money for membership. And you get most if not all of your money back in benefits. Memorials: they usually mean free sandwiches’ and a drink. You can also get face time with people who did not know that you “knew” the deceased. Openings: the more grand the opening, the more food at the reception. Telecast: they need an audience. You need to learn how to attend a reception. Fast food restaurants with coupons. Get only what is good and that you like. Food drop points: locate the sites for food (drop offs) for ministries like Loaves and Fishes. You may not be homeless, but you can be hungry. Restaurant: use coupons. Tip at the full meal price. Have half the meat or meal packed “To go,” before it is served to you. Split a meal with a friend, especially during early bird specials. Salad Bars: where food is weighed, Learn which food items you like that are almost weightless. Monitor the toppings: Cost out the Liquids and toppings. Buy/Bring your own. Soup kitchens in your area: locate them. The poor will always be with us. No sense them being the only ones not hungry. You can Volunteer at Soup Kitchens and usually eat after. Sponsored Student Food Supper Clubs. Churches feed the poor and students, go as both and ensure that the food really is pleasing. Student Organization Supper Clubs. Potlucks and Buffets are frugal ways to stave off hunger. Volunteer to help make pies. Get an Education, leftovers, skills. Volunteer at kitchens: help a chef during a class or demonstration. Get an education, and a full stomach. Farmers Markets: get farm direct discounted products. Pantries: most non-full time students could qualify for admittance and membership. At some pantries, you can volunteer, and get first dibs on what comes in, or last look at what is going to be tossed out. Foods can be frugally obtained and stylishly served and eaten. Each item may be tasty and healthy as well as inexpensive. Get your My Palate® shopping list? Shop in Food Groups. Make sure that what you like is universally available. Cost out products: know the cost per ounce. Save pictures with Prices. Save lists and receipts. Look for in-store discounts. Cost compare stores to see who offers the lowest base price, even before coupons and cards. Where practical, avoid purchasing drink, atmosphere or food when you are hungry or with money alone. Eat before you go shopping. Buy Kits When You Can (Soup, Cole Slaw.) Think of other things you can make with each. Collect Frugal Foods and Recipes. Share these. Use shopping cards: use your friend’s cards, Ask if it is OK. You can keep the discounts. Let them earn the gas credits. You have their telephone numbers. Get coupons: go to where mail recycling bins are on coupon delivery days. Search for the coupons you like. Share what you find with friends. Get coupons on line: see if the place you were going to shop at anyway has coupons you can download and take with you. Shop on a Wednesday, or the day after the weekly coupons come out. See what is on your list, what you missed, and what is not to be missed that can now be had for less. Now armed with coupons from home take shopping for less to a whole new level. Scout for new coupons and discounts at each store. Use Store Coupons only for things you need. Learn about double and triple couponing. Scout for out of date items. These are just sell-by dates. These out of date items can be had for little or nothing. Look for just expired products; these are usually provided free. Get organic apples and potatoes. Ok some things are not totally frugal, looking with your eyes, but looking with your wallet you gets really close. Get the bigger and better deals (BBD.) Enjoy your views. Eliminate products you would not cook. Order in Home – Buy Ready Made for home. Have more meals at home with a proper table setting. Sponsors Dinners, buffets, and pot lucks and wait for reciprocity Co-Host Events. Say thank often to those who feed you. Save bottles and containers with screw tops and snap closed lids; have more things to save things in. Provide services for little or no money. Let people cook for you. Start a business and be a host, spend more than the deductable amount, talk shop, get the receipt(s,) and take the deductions. Teach something. I teach Etiquette. Business Dining is a division of it. I teach about frugal foods. No sense teaching what my students cannot afford to eat. I also teach Leadership and Management. Eat only the things you can for the rest of your life. Eat in style; get more than you paid for. Put some street in what you eat. Food can be bought or obtained and served and eaten with style on a dime. So tell me, why are you hungry? Engine Search each subject title in Frugal Foods and Stylish Recipes. See what else you find. Food is fuel. It is not burning unused fuel, and not exercising to be fit, that makes you fat. Freshman fifteen can easily turn into freshman forty. Fuel is required in a mixture: Fat, Carbohydrates, Protein, Fiber, Minerals, Vitamins, and Water, and some Sugar. Learn to read a nutrition label. Multiply the number of servings by the number of servings per container by number of calories per serving. Note the serving size. First question for you; is the contents of that serving, bag, box, or can worth the total number of calories on you? Note the Total Carbohydrates listed and then underneath what is listed: as Dietary Fiber__ and a number, and Sugars__and a number. Note what is not listed, the rest of the carbohydrates that someone hopes you would forget about, the complex ones. Some call them starch. You know them best as soon to be fat, unless you are willing to burn that. Know which vitamins and which minerals you expect to get in each food. If a food does not meet your nutritional needs, it may not be that frugal. No sense in being frugal, if you are only going to get are calories which are empty. The rules for food are it must be universally available. It must come from cultural, social, and economic food groups. It must require some behavior modification. You must be able to repeat the activity for the rest of your life. Eat with the sun: cool in the morning, hot at mid day, bright in the afternoon, dark after sunset, and no white at night. Even if you eat even frugal foods, you must exercise your mid-section. You have in common with all cars an engine and a tank. Each engine must have fuel and exercise for fine tuning. Each tank is at its best when it is near full and run often. Fail to use the right mixture of fuel or to exercise to burn it for fine turning, and the Food You Do Not Burn Will Turn to Fat, and it can clog you up, and weigh you down. Exercise your midsection. A fit stomach can require less food. Exercise like a tree: rock, twist, and bend slowly to burn and to compact fat. Look fit and strong standing in the wind. Without sweating you can make your current weight look great. Midsection muscle management can be done by decreasing your caloric intake within cultural, social, and economic confines. This may be more important than a change in diet that is brought on too soon, and that might cause or be a contributor of adult-onset diabetes. The body learns to digests what it gets. It will take time to learn how to digest what it needs. In behavior modification you must exercise some. What you decide to do for exercise, you must be able to do for the rest of your life. You can exercise like a tree: rock, twist, and bend to look Fit by the Force of Wind®. Yawn to burn fat, and then you get to eat. Fat has to heat up to burn. A yawn can be proof of a pending burn. Sweating and Burning are not the same. Not to try to convert anyone, two things I do not do. 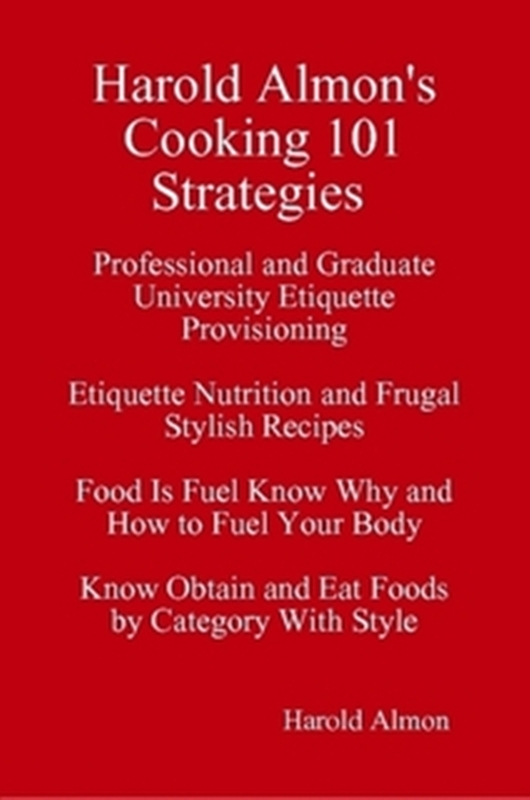 I do not cook; this is a book about frugal foods and stylish recipes. And I do not sweat, intentionally. I do look Fit by the Force of Wind ®. I do allow myself to yawn, especially while exercising in the morning. I do remain in the competition. I remain in the hunt. You can also. Strive to Look Good Naked. You may or may not want to lose weight. Learn to burn fuel and fat. You can make your current weight look great. Image and presentation remain a constant 30% of an evaluation. Ok, Buy foods frugally, save money, serve it stylishly, eat well, exercise often, and ride the food wave. Go be young. In frugal fast food service tray service, a sandwich fries, and drink or the equivalent is to be served on a tray. A tray made for someone else is to be covered with a place mat. This was a rule long before the advent of anything named “Mickey D’s,” or the breech by “Bell. 1. An additional place mat is to be requested for each person to be at the table. (Ask for the extras and glasses for water – even if you have to buy them.) Get napkins, and optionally real knives and forks. 2. The tray is to be carried to the table. Remember to select a seat to show honor to the person with you. Give up the seat to which the person with you will gravitate – the seat of honor. Some people do it instinctively. 3. Food given in a bucket or box is to be placed to the left of each person who is to receive one. Glasses are to the set above the place setting space. Place mats are to be provided. Then using a wrapper or a plate, as a base, items are to be set on a place mat in cover: a place setting configuration. The tray is to be taken to the stand for it. Sit down. Looks like it cost more already. Eat and Be at Ease. 4. When handed dinner in a bag. The bag, box, container, is to be used to carry food to the table, with or without a tray. It may be used to set food atop it in absence of a wrapper or a plate. It can be set to the left of the plate space to be discarded. 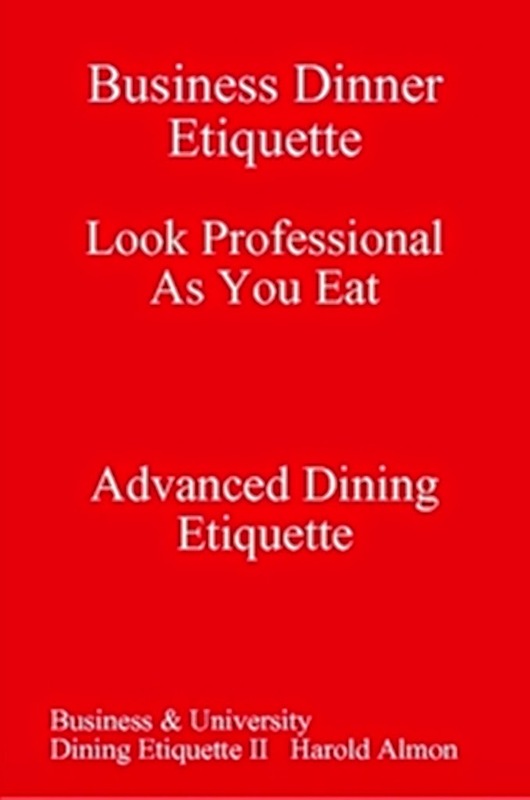 Practice Cafeteria Style Service: were food is served away from the table by a server who is across another table from the people being served. And practice Buffet style service: were from is provided away from the table for self service. Be at ease. 1. After you pay, or sign in, for your meal, get a table a chair, and then when eating in courses, remember to establish a cover. Avoid taking a fork to table alone – even here when you can pair it with a knife. A glass for water is required when eating in company. It can be for wine where water is scarce. No drinking on the way to the table. 2. After establishing a cover, avoid approaching the food table too fast. 4. Avoid putting too much food onto your plate, filling two plates at the same time, looking like you are trying to serve your whole table, or looking as you are eating for the last time. Eat in courses over eating in piles. 5. Leave your used plate center the place setting. Leave silver at the table in the finished position, before helping yourself to the next selection. Each course is to get its own set of flatware. 6. Flatware can be set in a rest position, on a plate, (when only one set is provided.) I only mention this because it happens. 8. Avoid pushing or passing trash. Except at breakfast, avoid eating cereal as your last course or dish. This, again, is something I have witnessed. What makes this frugal? Once you have paid you can stay and eat until closing. You can invite a date, and know exactly what it is going to cost you. You can still establish your cover, set your table, say thank you a lot, and were appropriate tip like a player. Now back to home and eating alone. You may practice eating frozen dinners, or meals on wheels, both just other forms of pre-paid meal plans. 1. Contents of each reheated dish are to be covered with a plate and tipped onto it or spooned out onto one, and a cover is to be established before the meal is eaten. 2. You owe yourself napkin and a glass, a plate or a dish, and optionally a knife and a fork. 3. You can do the same with items that are delivered. Now that you have “cooked,” you may invite someone to join you for table talk. Now where is that one piece of fruit cut on a bias to share? A piece of cheese can be served on a salad plate center the setting. Small salt and peppers holders can be put in place, if you have them. A place spoon can be placed to right of the plate. A cereal bowl and underlying plate, normally a bread and butter plate may be placed above the fork space, when cereal is to be eaten after a hot dish. A cream holder can be placed to the right of it. In a pinch, a small pastry, chocolate or blueberry muffin cut in half, and garnished with a strawberry can constitute breakfast. This can be especially nice if it comes with coffee and a flavored condiment. Oatmeal - can be added for a hungry man, along with some nut, a dollop of peanut butter, and some dried fruit. In United States of America Family Service food is arranged on a platter, or on serving dishes, with attending serving implements, and passed around in counter-clockwise order. This service can be offered open meal with the same items offered throughout. It may be offered timed-meal where each course is brought to the table and exchanged with the prior course as the meal progresses. And attending sauce can be placed on the table as required. A person can hold the platter or dish, for the next person to be offered the item that then takes a portion to his or her plate, and places the implements back on the platter or dish. This person can then hold the dish for the next guest to be offered the item. When refusing a serving of an item, a guest is to take a dish that was passed, omit taking any of it, and pass it, letting the serving process continue. Each beverage can be offered by being placed in a pitcher, and having it passed counter clockwise to allow each person to pour a desired amount of it into his or her glass. Plates are to be removed, by being passed with eating implements to the hostess, or to someone designated to collect them. The plates can then be placed on the bottom self of a credenza or roll-in cart. The plates for the last course are to be left in place until after everyone has left the table. In Maid less Service food in appropriate serving dishes, and attending serving implements is placed it the side of the server. Food can be placed on the table itself, on a side table, on a tray, or on a roll-in cart. Warm plates are placed in front of the server; the top plate is filled and passed to the guest of honor or to the person seated to the right of the host. Additional plates are filled and passed counter clockwise by guests at the table to the designated recipient who sets it center their place setting. Plates are to be removed in the manner in which they were served. Each can be placed on the bottom tier of a roll-in cart, or a support area may be used to store plates from a preceding course. Plates for the last or dessert course can be left in place until after people have left the table. A breakfast tray setting is to be used to hold a morning meal that will be eaten from a tray. It can be used informally instead of a dining table. The tray is to be covered with a placemat. A place setting for one configuration is to be used as much as possible or required. A folded napkin can be placed to be left of the fork or plate space. Salad with lettuce and cheese (usually in cubes) with (club) crackers is to be the fourth course. It is to be served on a salad plate. Informally, if can be served in a salad bowl without an underlying plate. Cheese can be served on a separate plate. Formally the (chilled) salad plate and flatware, atop it, can be brought in and set it place when the course is served. Fancy as it gets the purpose of salad is to push out the course before it. Frugal tip: Stop chopping lettuce, with a knife and from your life. Tear lettuce with your hands. Eat it with or after a meal. It is roughage, used to help push things out. You have eaten. It has snowed. Now is the time to plow the road. Romaine lettuce and cheese with crackers can be served as a course salad. Salad can be served as a main course. Informally, you can Hail Caesar, if you know how. A Caesar Salad is to be made (w/ Romaine lettuce, shredded Parmesan, and croutons, and a classic Caesar dressing.) It can be more of a meal salad. It goes well with pizza. Pizza in squares may be served as a side to this salad. Tomatoes and cucumbers alone, or added to lettuce can be served as a side salad to pizza. Here if you wish, salad can be topped with broccoli, seeds or nuts. Caesar salad can be found ready to make from a kit. Recipes for Caesar salad may be obtained from the internet along one for Insalata Caprese. Cube toss and chill. Sprinkle with oregano. Add lettuce mixed and serve. You can add a meat to it such as steak and get a Steak Cobb Salad. Recipes for Cobb salad can be obtained from the internet. Spinach leaves and some cheese in cubes with crackers could be served as a course salad. This can be both frugal and flavorful. Watercress, peas, and mandarin oranges can be added to a green leaf and cheese salad. Green beans, artichoke hearts, and cherry tomatoes (cut in half) can be added to a green leaf salad. Italian dressing with shaved Parmesan may be added at plating. Some crushed red pepper flakes could add a hot bite. The more items added the more salad goes from a course to a new meal. Remember salad can be topped with bacon bits, garbanzo beans, seasoned croutons, and or seeds, and be provided with signature crackers. Bel Paese Cheese. It is your cheese you may slice it if you like. I have seen blue cheese served crumbled. Grated cheese I would reserve for pizza. Non green salad can be served on a separate plate or on the same plate with the main course, so can a green salad, but the former, is not served as a separate course. Top with Alfalfa Sprouts and Peas. You can cook or top with Tuna, Pine nuts, bits of Broccoli. Top it with French Salad Dressing. You may substitute this with vinegar and oil. The cheese can be cut-up slices of American. The Club crackers may be a la Ritz, until you get more square. *Can make you test positive for Poppy. Cream of Tomato. Get Tabatchnick Creamy Tomato Soup when you are entertaining. Lentil soup can be your best frugal bang for the buck. Become familiar with pre-made box soups. Keep soups in a box. If you feel hungry, have a bowl as a first course cold or hot. It you are still hungry, add some more food to the fire, why not. Remove the First Course and serve the Next Course. Frugally speaking soup suggestions may include wheat grain noodles by Ramen. Each Top Ramen soup can be the soup of the day when you have little time, money, and just a hair of cooking skills. For spices, you can use the packet of ingredients that came with it. You may use your own medley of spices. 1) Place it in a microwavable bowl. Add spices, ingredients, and EVVO to taste. Cover the contents with water. Nuke it for nine to twelve minutes. You can test it at ten minutes. It may be covered with water and allowed to rise, then cooked, and it becomes a side dish. 2) You can use an electric or non-electric tea pot and boil water. Placed ramen in a microwavable bowl. Add water, and add spices and other ingredients to taste, and let it steep (cook) for nine to twelve minutes. 3) You can boil the noodles, drain them, and then add the other stuff. 1) Place it in a microwavable bowl. Add spices and ingredients to taste. Cover the contents with water. 2) Add Squeeze Cheese in a plastic bottle or Nacho cheese from a snack cup. Add Jalapeño juice and chopped jalapeno if you want. As an alternate cheese soup, place Ramen in a microwavable bowl. Add a capful of Kens Blue Cheese dressing to it. 3) Nuke it for twelve minutes. You can test it at ten minutes. It may be covered with water and allowed to rise, then cooked, and rested, and it becomes a side dish. As Alternate Cheese Soup, get Maruchan Cheddar Cheese soup. Place it in a microwavable bowl. Add Kens Blue Cheese dressing to the style noodle mix. Nuke it for twelve minutes. You might want you use a tad less water and serve this as a side dish. Place it in a microwavable bowl. Add spices and ingredients to taste. Cover the contents with water. Cook noodles for seven minutes. Do not drain. Add condensed soup to taste. Let steep or cook for five to eight minutes. When you have got some time, you could cook this soup. Bring all ingredients to boil. Reduce and simmer for thirty minutes. Strain and save liquid. Add noodles and steep for five to eight minutes. This is added as it could be a first dish, for people who really cook in something other than a microwave oven. Salmon, shrimp or Tuna (canned) may be added with the Holy Trinity of ingredients. Shrimp, but can be added to Cream of Tomato Soup. Wieners could be added but why? Place a portion of selected meat in the bowl. Cover the contents with water. What to do: Cook noodles and meat together. Add Chicken stock or Beef stock; buy some, you can use each a lot. Place it in a microwavable bowl. with or without a dab of olive oil (if you have some.) Cover with water. Cook for twelve minutes. Check it at ten minutes, ymmm. Try it. You may like it a lot. Ramen and Baked Beans, Refried Beans, or peas. Each provides fiber and makes a complete protein. To each you can add picante. Place it in a microwavable bowl. Add spices and ingredients to taste. Cover the contents with water. 1) You can add a capful of Italian Dressing. Ken’s makes a Zesty Italian. 2) Nuke it for twelve minutes. You can test it at ten minutes. It may be covered with water and allowed to rise, cooked, and then rest and it becomes a side dish. 2) Parmesan cheese can be used as a Step 1, or as a soup topping. Place it in a microwavable bowl. Add spices and ingredients to taste. Cover the contents with water. Add some Salsa or Picante and stir it in. You could add freshly snipped sun dried tomatoes. What to do: Cook noodles and the tomato based sauce together. Yes you may use a sauce Marinara. You can add other vegetables to this mix. You can omit the package spices. Buy large bags or frozen vegetable and use portions as needed. Buy soup starter kits, as needed, you can microwave the bits. Canned vegetables keep fresh until opened. Each can be containerized and reopened when needed, a portioned used and the rest sealed back. Peas, Corn, Carrots, Celery, and Onion can be bought. You can buy celery one stalk at a time. The Cooking Spice Holy Trinity: makes all things taste better. Cook noodles and vegetable together. You could make a signature Salmon Bisque or Vichyssoise (Potato) Tuber soup. Each can be nutrient dense. You can become the soup baron, and become beloved for just occasionally mastering and sharing a soup or crock pot. This too is cooking so I will speak only little of it.  Each course is to be SERVED IN CHILLED OR WARMED SERVING DISHES OR BOWLS. In informal America, salad is eaten before the main course, and in extremely informal circles it is eaten with it. And a one plate meal is the reigning game in town. We can do better. An executive host can allocate 40% of the entertainment budget for food. It can be a tax deduction. Two courses can be suitable for most lunch menus. Three courses may be ideal for most dinner menus. Four courses could be used for a dinner equating to an elegant affair of State. Five courses might be used for a special dinner menu, a buffet menu, or a meal for a tad fewer people. Garlic, but then what you get is Hummus plus. Yes you can retain your frugalness and still buy the Tahini; it will pay for itself. Refried Beans can be purchased pre-made in a can. Add spices and peppers as you like, and you get Bean Dip. Black Eye Peas can be turned into Texas Caviar. Add pita bread cab cut in squares and used as a chip; this may be as frugal as it gets. Cocktail food is to be restricted to three or four these items. Dairy, Grains, Meats, or Beans; then you can pick between Nuts, Fruits, and Vegetables. If it cannot fit in the palm of your hand, it is not a snack. It is a meal “To go.” If you are not going to burn it off, you will get to wear it. Eating unhealthy snacks are how people get fat. Fast food and or food fast do not have to be fried, or incomplete. Bowl Ready to Eat Grits on an underlying plate can be eaten as a snack. It can be obtained for as low as .25 cents per serving and it takes two minutes to make. On grits you can add a spoonful or two or your favorite beans or hummus. Other toppings suitable for grits are bacon bits, burger bits, eggs, fish, and tofu. Pepper, salt, and butter can be added to taste. Bowl Ready to Eat Noodles Rice or Wheat on an underlying plate could be eaten as a snack. It can be obtained for as low as .25 cents per serving and it takes twelve minutes to make. You can eat rice noodles with beans, or oats or wheat noodles peanut butter. Each can be topped with vegetables and steamed for the last four minutes of cooking. Again, why would one eat (a grain) without a legume and miss getting a whole protein? Try it. You can omit doing this if you really do have a heavy plant based diet. You are going to eat on the go. Make it a date and back pack a small plate, and a knife and fork, to go with your Sippy glass with that take off travel lid. Your plate is to be 9” or less. After use it can be rinsed and placed back in a zip lock bag and then back in a backpack for a later washing. You can Meal Plan My Plate(r). The Almon Hitt plate can be divided into a four part meal plan: upper left, for grains and legumes, a meat analogue, a stem tuber, or a starch item, upper right, fruit: cucumbers and tomatoes count, lower left, an animal protein; this may be omitted when having a grain and a legume, lower right, vegetables. You may have a complete protein, a starch, and a green vegetable item, or two servings of vegetables, one of which is to be green. Water and bread are to be staples at a table. This is a balanced meal plan; you can tip the balance or round out your meal with a fat or a sugar item to include a portion of dairy, pastry, sauce, or a soft drink. You could carry your plate with you for class, ambiance, presentation, and portion control. You might do it to help reduce waste in the environment. When food is on your plate from your My Palate list, you could say, “I can eat that.” You might make their container or plate your serving dish. You can have your own container to take what’s left of a super sized portion with you; avoid doing this at any meal involving business. At home integrate the dish with pre-prepared sides. In your public eating, let the gourmet in you show. Establish your cover: place setting for one. Shift the protein portion to bottom center, and let’s begin. 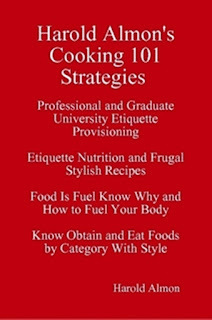 Frugal Foods and Stylish Recipes will allow you to educate your palate, and cultivate new choices. It can help make you a Nutritioneer, able to look at a food and say, “You are on my list; I can eat you raw (or cooked),” or let you order or eat in US menu order of courses instead of eating in piles. Food is to be universally available, come from established food groups, promote behavior modification, and be something you can eat for the rest of your life. As a foodie you can buy and eat food for availability; the season, culture: taste, affordability: your pocket and nutritional value: fuel requirements, and still retain style. To that end there are healthy sides and snacks. Beware, condiments, oils and sauces can contain hidden Fat. When what is in a condiment is unhealthy or unknown it is best to buy and bring and add your own (B/B/A YOC). Food is fuel. When you meal plan your plate you can see what is gone missing. When a grain is used as a grain it requires a legume, and you can omit an animal protein. You can add or need a vegetable, a green. When using a protein add a starch and a green. You can use a protein and add two vegetables: two greens or one orange and one green. When a plan is to use a starch as starch or a grain it requires a protein and a green. When a plan does not contain a green, you may add a fruit to let you remember what you owe. Fuel is to be mixed strategically to burn efficiently high Glycemic , and low Glycemic are to be part of your meal plan, and then you can round out the outside of your my plate (meal) with things you may like. Fast food meat combos are not a snack. Each is an incomplete part of a meal plan. These combos can include fish. How odd fast food chains have introduced Cod. Fish is to be paired with a stem tuber: boiled, fried, or mashed. You can always forgo the potato, unless you eat it with mustard, curry sauce, or sprinkle it with vinegar. Have the Chili first; better to eat fish with chili, or chili fries (cheese on the side) and crackers, soup, a torte, quiche, or to get a boiled egg than to load potatoes with high fructose corn syrup or a baked potato with dairy. What makes Fast Food frugal? This, it can be purchased with coupons, and when you can get a “value drink” clear or tea the refills are generally free. The same can be usually also true, when the drink is coffee. Frugal tip: 1) Eat meat one day a week. 2) Eat meat say every other day. 3) Give up meat one day a week. Make your choice your treat. For food categorization eggs are listed with dairy. I call eggs petite meat. You can have two every other day. If worried about cholesterol, maybe have one. Petite meat could help get and keep you skinny. Recommended portions of meat might help you combat fat. Frugal tip: 2) Eat open face sandwiches. Sure you can and do. You just called them pizza. Get to see what you eat, and get full faster. The other grain you can leave on your plate or when eating alone it can be taken with you. Frugal tip: 3) Soy mock meat is under review, better to eat it I am told, if you started at two years old. Starting after puberty, what it does to you is still a mystery. No matter what you do with it, shrimp is seafood. The above are fish. Most everyone can eat the latter, only some can eat most of the first. Cold water fresh are to be added to or included in each diet. Fish is to be paired with a stem tuber. You can always forgo the potato, unless you eat it with mustard, curry sauce, or sprinkle it with vinegar. Have the Chili first; better to eat fish with soup, chili, or chili fries (cheese on the side) and crackers, a torte, quiche, or to get a boiled egg to go with that than to load a potato with dairy. What makes Fast Food frugal? This, it can be purchased with coupons, and when you can get a “value drink” clear or tea the refills are generally free. The same can be usually also true, when the drink is black coffee. 50 Percent of your fast food can be fruits or vegetables. What better kind of toppings could you want? Serving size Avocado 2 Tbsp or 1/8 piece, yeah right. Note: think of where and how mustard can be used in lieu of dairy. Note the caloric difference. Dessert can be a snack, if it is low fat chocolate pudding. Take one or two pieces of fruit to go. Learn how to eat fruit with a knife and fork. And later eat something green. Psyllium fortified wafers if you can find some. Food is fuel. It is not burning unused fuel, and not exercising to be fit, that makes you fat. Freshman fifteen can easily turn into freshman forty. Fuel is required in a mixture: Fat, Carbohydrates, Protein, Fiber, Minerals, Vitamins, and Water, and some Sugar. Learn to read a nutrition label. Multiply the number of servings by the number of servings per container by number of calories per serving. Note the serving size. First question; is the contents of that serving, bag, box, or can worth the total number of calories on me? Note the Total Carbohydrates listed and then underneath what is listed: Dietary Fiber__ and a number, and Sugars__and a number. Note what is not listed, the rest of the carbohydrates that someone hopes you would forget about, the complex ones. Some call them starch. You know them best as soon to be fat, unless you are willing to burn that. Know which vitamins and which minerals you expect to get in each food. If a food does not meet your nutritional needs, it may not be that frugal. No sense in being frugal, if you are only going to get calories which are empty. Eat with the sun: cool in the morning, hot at mid day, bright in the afternoon, dark after sunset, and no white at night. Even if you eat even frugal foods, you must exercise your mid-section. You have in common with all cars an engine and a tank. Each must have fuel and fine tuning. Fail to use the right mixture of fuel or to exercise for fine turning, and the Food You Do Not Burn Will Turn to Fat. Exercise to burn fat. Be Fit by the Force of Wind.® Trees do not walk or run. Each twists from side to side and moves around from left and right. Even when not thin each looks good and strong standing in the wind. Fat has to heat up to burn. A yawn, can be proof of a pending burn. Sweating and Burning are not the same. Strive to Look Good Naked. Midsection muscle management can be done by decreasing your caloric intake within cultural, social, and economic confines. This may be more important than a change in diet that is brought on too soon, and that might cause or be a contributor of adult-onset diabetes. The body learns to digests what it gets. It will take time to learn how to digest what it needs. The rule for food is it must be universally available, and must come from cultural, social, and economic food groups. Midsection Muscle Management and food must require some behavior modification, you must exercise some – even to be fit by the force of wind, you have got to bend, but then you get to eat, but what you decide for exercise, and to eat, you must be able to repeat for the rest of your life. You may or may not want to lose weight. Learn to burn fuel and fat. You can make your current weight look great. Not to try to convert anyone, two things I do not do. I do not cook, and I do not sweat, intentionally. I do remain in the competition. Image and presentation remain a constant 30% of an evaluation.  Know an invocation acceptable in your host’s/ guests culture. One is to be omitted at a dinner party and at a business meeting.  The difference in cafeteria café and formal dining room is the decibel level of conversations in them. Speak with your inside soft voice.  Nothing as sweet as being able to hear yourself eat. Practice eating in courses versus eating in piles: soup, fish, main course, salad, and dessert. The current United States of America menu, no matter how formal, consists of no more than five (four) courses. You can check with the White House. Practice eating in courses over eating in piles. An appetizer can precede or substitute soup as a first course; it is essentially a hors d’oeouvre that could be served at the table usually in lieu of or prior to a first course. An amuse bouche is a bite size appetizer that might be provided by a chef at no cost to a patron. It might be paired with a wine. It cannot be ordered from a menu. Clams, crab puffs, escargot, shrimp, oysters, or can be served as an appetizer. The plate for each can be set atop a show plate. The oyster cocktail fork is placed to the extreme right of the last knife or spoon. It can be placed in the bowl of the soup spoon tines-up, with the handle pointed to five o'clock. An oyster cocktail fork may be placed to the extreme left of the last fork(s.) It could be placed with up to three other forks in a place setting. It is the lone exception to the rule, "only three items of any one kind in a place setting at a time. It can be placed to the right side of an underlying plate when a dish is served to a table. This is also the finished position for the fork. Note: there are other appetizer options; some religions disallow practitioners to have any of the above foods. The only appetizers for a guest are those that can be eaten by each person being entertained. As a rule, the first course is to be a soup. Grigory made and taught me to get a “Soup pot” and to enjoy a good soup. Acquire at least one of each. In formal service, soup is the only course allowed to be set center a place setting, before the time people come to the table. Formally coup can be a consommé. Informally it can be Gazpacho, Miso, or Vichyssoise, each of which can be served cold. A rimmed soup plate is to be used for soup served at a truly formal dinner. Soup can be served in a soup plate with or without being placed on an underlying plate. This plate can be set atop a show plate. a cold first course can be served at each place setting before people come in to the table. This can be an exotic look for a table for two. Formally, this is correctly done only with soup. A two handled a cream soup bowl and stand, may be used for an informal dinner. This item is omitted at a truly formal dinner. Soup in a bowl is to be served on an underlying (bread and butter) plate. A soup cup and saucer could be used for a casual meal. A table or place spoon is to be used for soup served in a rimmed soup plate, or in a soup bowl. A tablespoon can be used for soup served in a soup cup. A teaspoon may be used when only stirring is required. Soup can be garnished with bits of almost anything, including with a bit of another soup. It can be topped with a dollop of classic mustard. It may be served with oyster cocktail crackers. Informally oyster cocktail crackers can be served in a bowl with a small ice scoop. Soup can be served in a mug, or a bowl with an underline plate. Folks can add as many oyster cocktail crackers as they wish. It could be served with saltine crackers. Crackers can be placed on a small plate. Crackers may be placed on each underlying plate. Avoid serving soup with a club cracker. Soup can be served with croutons. Soup might be served with a relish tray. It can include pickled or marinated carrots, cauliflower, celery, gherkins, mushrooms, olives, or and with radishes. Informally, it can be preceded or replaced by a plate or tray of crudités: raw vegetables. You can get most items from the salad bar. Each may be placed on each underlying plate. Here I use French dressing as a drizzle or a mini dip. Sherry has been seen served with a soup course. Pour the wine. Sherry could be omitted. Cream of Tomato. Get Creamy Tomato Soup in a box when you are entertaining. Frugally speaking soup suggestions may include wheat grain noodles by Ramen. Each Ramen soup can be the soup of the day when you have little time, money, and just a hair of cooking skills. For spices, you can use the packet of ingredients that came with it. You may use your own medley of spices. Frugal tip: left over’s go in Ramen. As Alternate Cheese Soup, get M Cheddar Cheese soup. Place it in a microwavable bowl. Add Kens Blue Cheese dressing to this style noodle mix. Nuke it for twelve minutes. You might want you use a tad less water and serve this as a side dish. Cream of Tomato (to which I add small shrimp, especially at Halloween; Add sour cream, and call it ‘mattos and maggots, and watch it disappear. You could omit the Raman. Thanks Autie.) Have Oyster cocktail crackers guest can load on top. Add one (or two tablespoons of peanut butter creamy or chunky with or without a dab of olive oil (if you have some.) Cover with water. Cook for twelve minutes. Check it at ten minutes, ymmm. Ramen and Baked Beans, Refried Beans, or peas. Each provides fiber and makes a complete protein. 1) You can add a capful of Italian Dressing or Zesty Italian. What to do You know what to do. In a commercial service, the line to the food can be preceded by the line to frugal wine. In commercial service, a host most certainly will be asked.” Would you like to see our wine list?” After reading a reusable wine list guess what a host may ask, “Where can I wash may hand,” And take a visit to station Six: the bathroom. Sometimes a bottle of personal wine can be given to a server and served for a corkage fee. Part of a tip may be a taste of it left for the server by the host. The bottle for each may or may not be wrapped in a napkin. D1 Sherry, Sherry has been seen served with a soup course. A sherry glass is to be set in formation to the right of the last wine glass. Pour wine the wine. It can be filled half-full, without being lifted from the table. Sherry could be omitted. Fruit juice could be served as a first course, especially at lunch. The juice glass, or saucer champagne glass is set on an underlying (bread and butter) plate and set center a place setting, two to three inches above the edge of the table. The plate for the course might be set atop a show plate. Melon might be used as a first course. Melon is to be served on a dessert plate with or without an underlying plate. The plate for the course has been seen set atop a show plate. It can be set in a bowl atop an underlying plate. When melon is unpeeled, in a skin, in halves, or in quarters, it is to be served with a spoon. . Each can be made into balls with a melon baller; formally called a Parisienne scoop. Melon balls (marinated or not) can be served in a Martini glass atop an underlying plate. Each can be sliced into chunks. It can be served with a fork alone when presented in cubes. Prior to cutting melon rinse it off with water and vinegar. In extremely informal parts of the United States, salad has been seen served, as a first course placed center the place setting. This is an observation more than a recommendation. Salad has been seen placed to the left of the place fork, with or without the fork for the first course. This setting is seen in a commercial banquet setting, or in an extremely informal home. It shows that the first course is to be eaten with the place fork. When salad is to be served as a first course, cheese is to be omitted. It could be topped with animal protein. Salad (with a cheese) is correctly served after the main course. In polite society salad is to be a frugal fourth course, eaten with the third fork.